The Bobcat-320 is a small, high performance shortwave infrared camera. Its thermoelectric cooler ensures excellent low noise and low dark current characteristics. The Bobcat-320 targets cost-sensitive volume markets such as laser beam analysis applications, sorting & recycling industry and investigation of defects inside silicon semiconductor material. 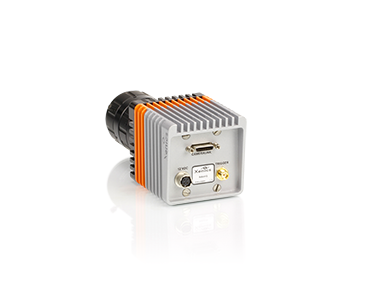 This shortwave infrared camera comes with a CameraLink or GigE Vision interface and has a low weight, low power consumption and is small in size. With the Bobcat-320 SWIR camera you can look through glass, so the use of standard available C-Mount lenses and protective camera housings is no problem. Again making this infrared camera affordable for a wide variety of industrial applications.